Hundreds attended the Super Skills Clinic which kicked off Baseball Day in Oshawa. (Photo by Dave Flaherty). Mother Nature wasn’t totally agreeable but Baseball Day in Oshawa was still an enjoyable experience for all of those who attended. 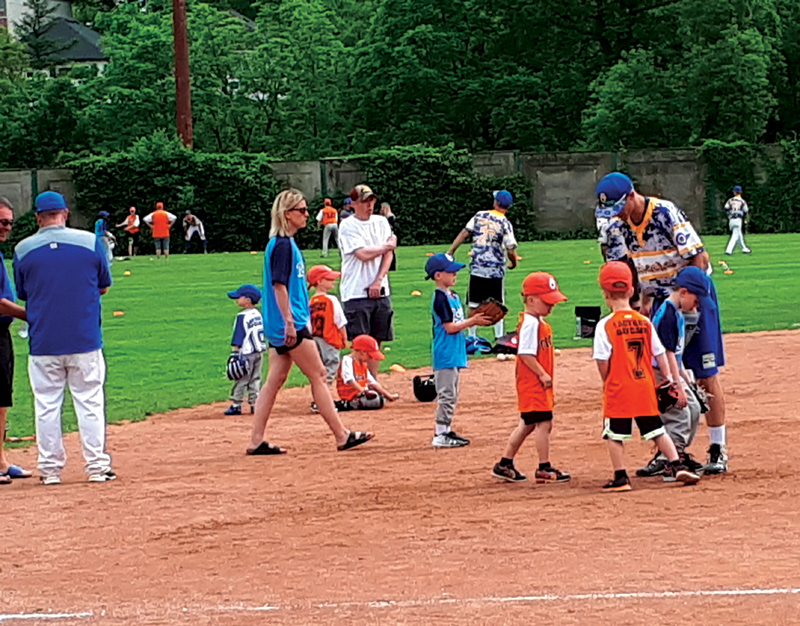 The annual event kicked off with a Super Skills Clinic for players from t-ball to bantam to shore up on the game’s fundamentals. After the opening ceremony and first pitch thrown out by Mayor John Henry, the Junior Showcase game began, with the Oshawa Jr. Legionaires defeating the Leaside Leafs 5-1. The weather then had other plans which led to a number of mini-games being cancelled. Organizers worked hard to try and salvage a planned move night, but it wasn’t meant to be. Despite the weather woes, Baseball Oshawa president Ken Babcock was looking on the bright side. Baseball Oshawa also recently wrapped up the third annual Military Appreciation Week. Throughout the week, military veterans threw out ceremonial first pitches while players wore special camouflage uniforms. There was also presence from active military personnel and a tank on site at Kinsmen Stadium. “Thanks to the amazing efforts of Jayson DesLauriers (Baseball Oshawa vice-president and Military week co-ordinator) and board volunteers our third annual Baseball Oshawa Military Appreciation Week has been a tremendous success,” Babcock said.